Last year I went to Ecuador to visit some of my friends In Quito and work from there. I also wanted to check out the Galapagos islands. I’ve heard so many good things about it and always wanted to go. Now one year later I’m happy to give you a lot more info that was so hard to find. Martina, a digital nomad from Italy, moved her office there recently and it turns out that it’s absolutely possible and a lot cheaper than you might expect to move your office to this incredible place. My name is Martina, I am an Italian freelance translator and I’ve been working while travelling around the world since 2011. Last May (2014) I flew to Peru with no particular plans, and after 5 months it was time to leave. Next stop: Ecuador, the Galapagos Islands. Dan (a freelance graphic designer) and I started dreaming about the idea. Unfortunately, the info we gathered from the Internet was very discouraging — apparently, everything was extremely expensive & the internet connection was terrible. But guess what? A couple of days later there I was, writing and working from the Galapagos. And you can do it too! 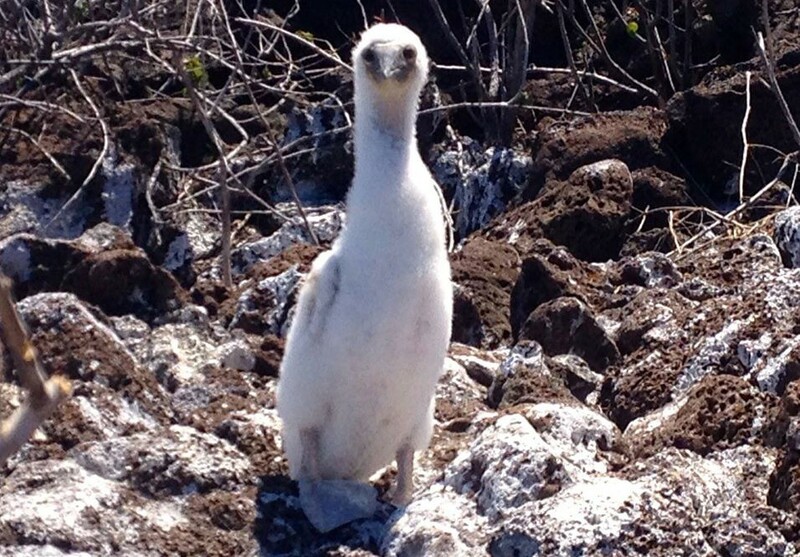 Making the Galapagos Islands your home & office: It can be done! We have been there for over a month, and it has been amazing and a lot cheaper than you might think. The Galapagos Islands are one of the worlds best wildlife getaways, home to a lot of endemic species, and known for the fact that animals like to interact with humans and let you come really close. 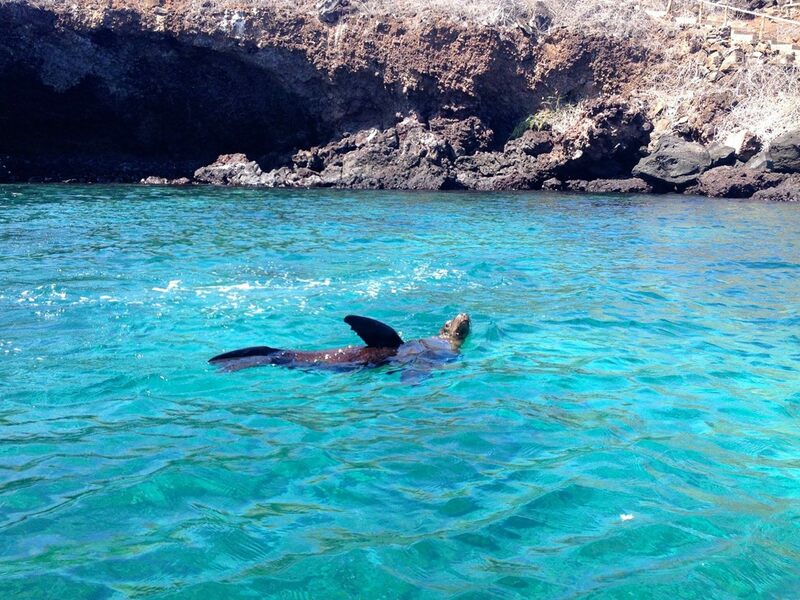 Want to hang out with sealions at the beach or turtles and sharks while snorkeling? 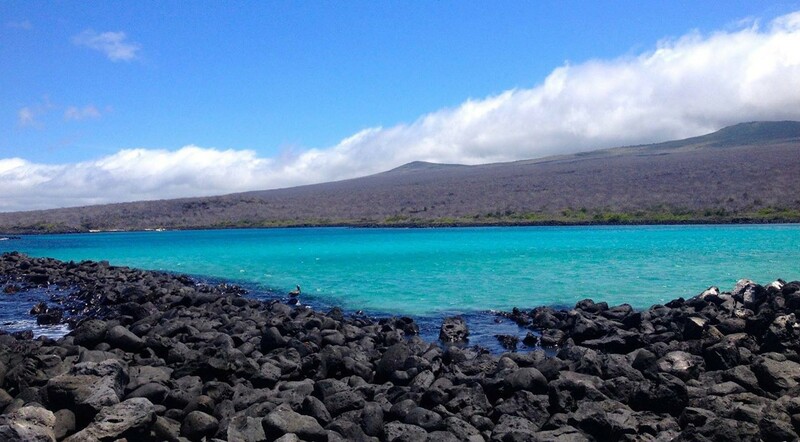 In Galapagos you can do it every day after work – but that’s just one of the reasons why you should check out this gem in the pacific oceans. Free activities There are some amazing hikes, viewpoints and spots to chill out and swim. *These activities are mostly free, but sometimes you need to/should hire a taxi driver who will also be your guide for the whole day (35-60$), or you can rent a bike for 15$ per day. If you really get into the local life, you can probably find someone who’ll give you a bike for 8$ or you can buy one for 80-100$ and resell it once you leave. Foreigners can’t rent cars or scooters! Tours Tours are the most expensive thing so far, going from 60 US$ to 150 US$ for day trips. However, some parts of the islands are accessible only by boat and there are some spectacular bays and areas to snorkel and scuba dive which you don’t want to miss. 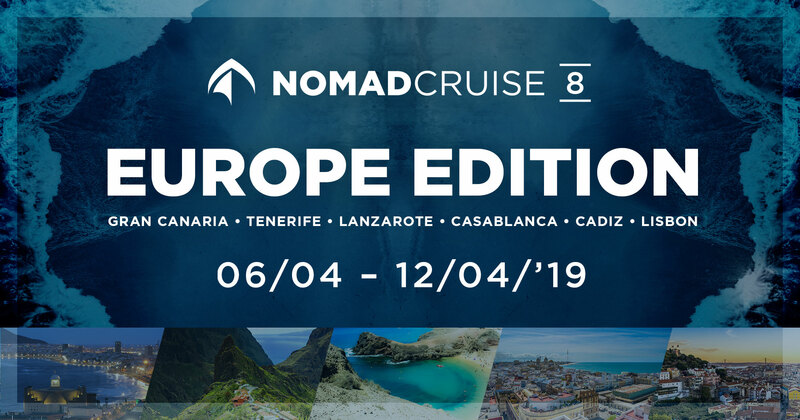 You can just roll into a local travel agency and ask what your options are – some of these tours are only available for certain days of the week, so you might want to ask 1 or 2 days in advance. Other than that, it’s super easy to arrange an excursion and it can be done spontaneously for the same day too. Snorkeling is just incredible. You literally end up swimming with sea lions and giant sea turtles almost every time you get in the water. Some tours will take you to snorkel with sharks too. Every island is home to different species, so what you see might vary depending on where you are. Snorkeling equipment can be rented out here for 5-10 US$ per day. Scuba diving has got to be amazing, but it’s really expensive. 100-120 US$ for one dive. Surfing – I haven’t gone surfing yet but I saw and heard of some good spots (e.g. Tortuga Bay on Santa Cruz or La Loberia on San Cristobal). I have seen a few windsurfers too, but no kitesufers. 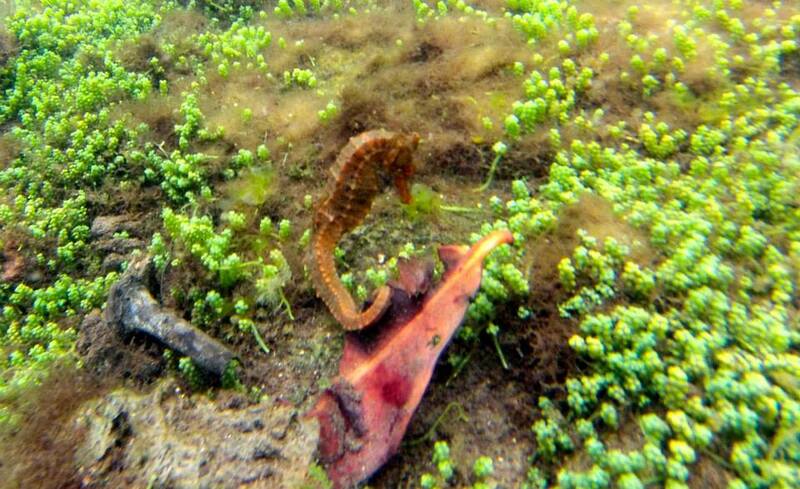 Underwater photography: If you don’t have a fancy camera you can rent out a GoPro for 20 US$ per day (bring a USB stick and they’ll put the pics there at the end of the day) or buy one of those good old school Kodak cameras (with 27 shots) for 18.5 US$ and then have the film developed. It looks like Santa Cruz is the place to be if you like movement, with “all sorts” of restaurants and bars. That is where most tourists go. Alcohol is quite expensive, beer being the only exception. Isabela is the most pristine one, there is really nothing going on and food is extremely expensive. On this Island I couldn’t find any cafes with Wi-Fi, but every hotel or private home renting rooms – and some restaurants – offer an Internet connection. At our apartment it was reliable enough for me to upload +300 pictures online in one go! Nowadays, Wi-Fi seems to be more precious than water, and any hotel, cafe or restaurant that wants to stay in business will offer a fairly good connection, for free. All said and done, on San Cristobal & Santa Cruz finding a reliable Internet connection is very feasible (even though in some spots it’s slower), whereas Isabela is a no-go. 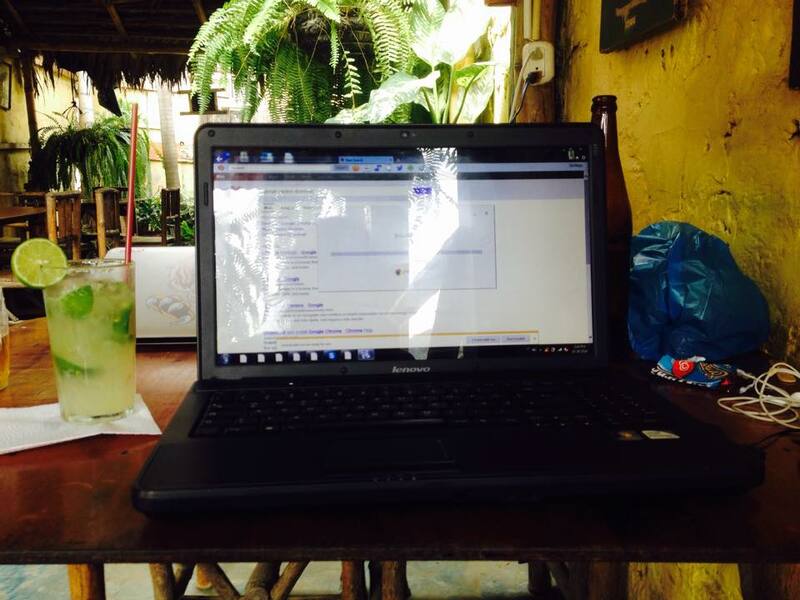 Out of all the islands, Santa Cruz is the one with the best “e-infrastructure” (cafes with Wi-Fi, internet connection, etc.) as it is the most populated one with about 30.000 inhabitants (San Cristobal: 10.000). Saying that Skype is no problem here but if you need Video it does work, but not always. If you need printing, there are a few shops that offer this service. During all of our stay, we never experienced any electricity blackout or any interruption of the Internet connection – except for maybe once at night, during a storm. Just in case: Get yourself a local SIM card and activate the 3G (it is a tedious process, so make sure to take some time to get that done in an authorized shop before leaving for the islands.) – there is good 3G coverage all around town. Claro is supposed to be your best choice, but I also see CNT signs everywhere. A SIM card only cost 5 US$, so you might consider buying both. There are two islands to choose from. You can either fly into Baltra or San Cristobal. San Cristobal is a bit further away from the other ones, but it looks like flights to get there are cheaper. Also, San Cristobal is home to the oldest permanent humans settlement of the islands and was the island where Darwin first went ashore in 1835. Here is where it all started: It’s a great way to get to know the history of the Galapagos. This island is also much calmer than Santa Cruz, the hub of the archipelago. You can travel from island to island by boat, for min. 30 US$ (one way). Some can be visited in one day, others require more days, all depending on where you start from. Santa Cruz & Isabela are the other 2 main and inhabited islands. Isabela is mostly left to its nature, so the Internet is sloppy and I suggest you only take a proper holiday or long weekend without devices there. Santa Cruz is completely different from San Cristobal. It’s bigger, wider, greener, more lush – but the snorkeling is less spectacular and there are not as many sea lions (got spoiled!). There are lava tunnels to explore (the longest ones in South America), different species of giant turtles, some incredible beaches (Tortuga Bay is probably one of the best beaches in the world!) where you can take the kayak and move a little further to another bay, and there you can see flamingos and snorkel with sharks and stingrays. The beaches are not as accessible as in San Cristobal and as a rule you have to walk, or take a cab, for a bit. The town is bigger and you can really find all sorts of restaurants and bars, but don’t expect a crazy nightlife. What is really quite surprising is the loudness of all of the islands at all times. Which is why you might want to rent out something off the center. Hopefully also cheaper. Looking up this info online is mostly a waste of time. 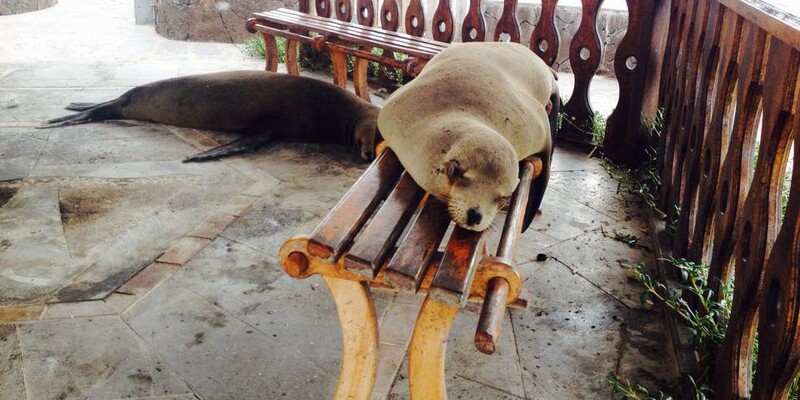 There are hotels, but they’re very expensive but there’s also no need to sleep on the park bench. On both islands we found THE apartment just by asking locals. However, I’m sure that the fact that I speak Spanish proficiently and kind of know how to approach them is a major condition for landing awesome stuff. Locals tend not to treat me like a “gringa”. On San Cristobal we ended up staying in a beautiful apartment — bedroom, living room/kitchen and good Internet connection for 280 US$ / 2 weeks (divided by 2)! I’m sure the price would have gone down if we had stayed for longer. We also got offers for a room (for one person) for 250 US$ for the whole month. All around that area are some private apartments, and people are extremely nice and will try to help you out. A taxi will take you pretty much anywhere in town for 1 US$. On Santa Cruz there are people waiting for you to get off the boat and literally jumping at you with their offers. Always mention that you are not willing to pay more than 10$ a night, as you are staying for a longer time. They will always get you to someone who offers what you need. We first ended up at a hotel with our private room and it was quite nice, but the Internet totally sucked. We set off asking to random locals in the streets (wandering about a bit further away from the center) and sure enough, at the second attempt we got the real deal – a big house with 3 bedrooms, 2 bathrooms, big living room and kitchen, terrace with hammock and private back and frontyard with Wi-Fi for 10$ per night each. And I’m pretty sure we even got the best Internet connection of the whole island! Apparently, the locals weren’t benefiting from tourism on the islands, as all the money was being spent on big hotels and would go to corporations and the government. They then decided to do protest and do something about it and started building nice apartments for tourists right off their homes – thus offering a much cheaper solution for long-term stays. You just need to inquire. Yep, food is delicious. It is also quite pricey. There are places that offer 3-5 US$ meals, but at night you can forget about it. For dinner, count on an average price range from 7 to 16 US$ per meal. If you want to save money, you’re better off with your kitchen and cooking your own meals, and just enjoy the local food a couple of times per week. On Santa Cruz, ask for “la calle de los Kioscos”, which is up the hill and off the centre, but it’s got very affordable and delicious food — it’s a local area. The Galapagos Islands have 2 high seasons, one going from mid-December through April and the other one from June to August, corresponding to when most vacationers arrive. Like with most destinations in the world, low season is always our best choice. Less mass-tourism, better deals. 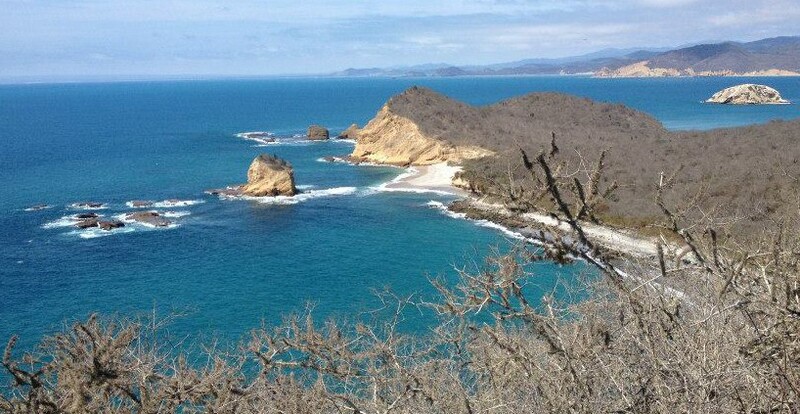 The Ecuadorian government limits the number of visitors to each island during peak seasons anyway, and you can count on the Galapagos as a perfect year-round destination, thanks to its location on the equator. Flights can be expensive, but low season plays in our favor. We booked our flights 1 week before departure and got a deal for 240 US$ each (as opposed to a minimum of 550$), round-trip (national) tickets including up to 32kg freight luggage and 10kg hand luggage, Guayaquil <–> San Cristobal. Your best bet: book through Avianca.com. Your flight will be operated by Aerogal. Apparently there are also military flights leaving only once or twice a week, occasionally allowing normal passengers on-board, possibly for 40 US$. You can find more detailed info on flights here. You need to register online with the government here before you go to Galapagos; then you’ll pay 10 US$ at the airport and another 100 US$ for entering the national park of the Galapagos once you land. I suggest buying things like shampoo, creams, sunscreen, sun glasses, pharmacy items and doing any kind of clothes shopping on the mainland as everything is quite expensive here. Also some groceries like tea, cereals, canned tuna or pasta can be a good idea. You can’t bring any fresh produce whatsoever onto the islands. As mentioned above, get a local SIM card and any electronics you might need before leaving. You can buy snorkeling equipment on the mainland if you are going to stay here for a long time, and make sure to have hiking shoes/sneakers with a good grip. The weather is mostly warm and at night sometimes it gets a bit windy, so it’s enough to have one pair of long pants and a sweater for when it gets slightly “chilly”. A raincoat could be useful. There is a bunch of ATMs and they mostly work, but it’s not always the case. Get more cash than you usually would before leaving to make sure you have enough. People are friendly, helpful and often educated, and the whole archipelago is extremely safe. The inhabited area is different than what we had imagined – it’s just like an average small town, but it’s on an island in the middle of the Pacific with colonies of sea lions every 2 meters! When she’s not busy translating, editing, subtitling or consulting, she’s traveling, reading or doing (extreme) sports. She also (co-)runs a small but thriving marketing business that creates products to help freelancers stand out from the crowd: Translator at Work. 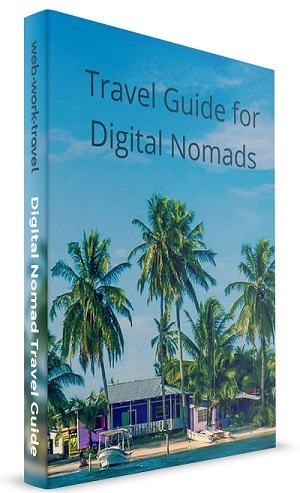 I like your travel blog, thank you for it! I have one question, maybe you can help me to make it more clear.. when you write about necessary payment – that :” I need to register online with the government here before you go to Galapagos; : but the link is not specific, it only for a home page…where I should find the “formular” or something ? When I will pay this , then I will dont need to pay ? ?